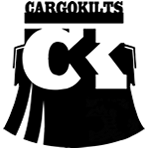 Cargokilts IS right for you! 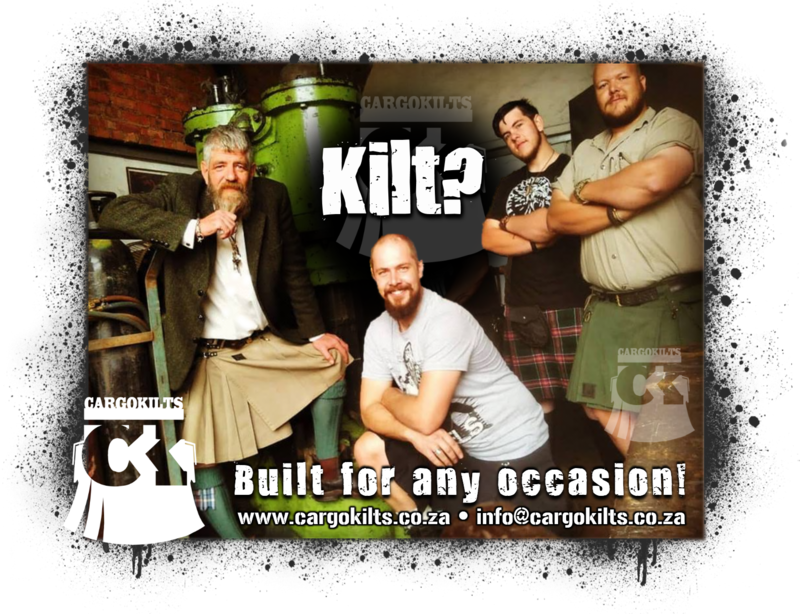 It is undeniable that the very essence of Cargokilts, as expressed in our motto “Freedom of Movement,” is reflected in the very reason why the original Cargokilt was created; durable, rugged, fiercely independent, uncompromising, unapologetic, innovative, practical and just down right comfortable. Choose “Freedom of Movement”! 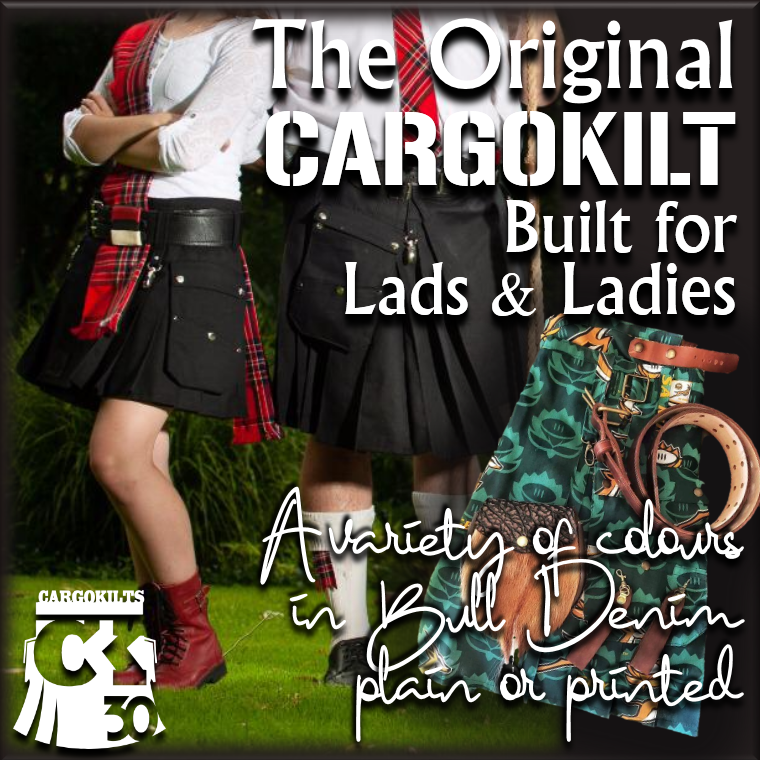 The original Cargokilt is available in various colours of Bull Denim, plain or printed. Pocket and pleated, this made to measure garment is comfortable, unique in design, versatile and darn near indestructible. The ultimate in "Freedom of Movement". 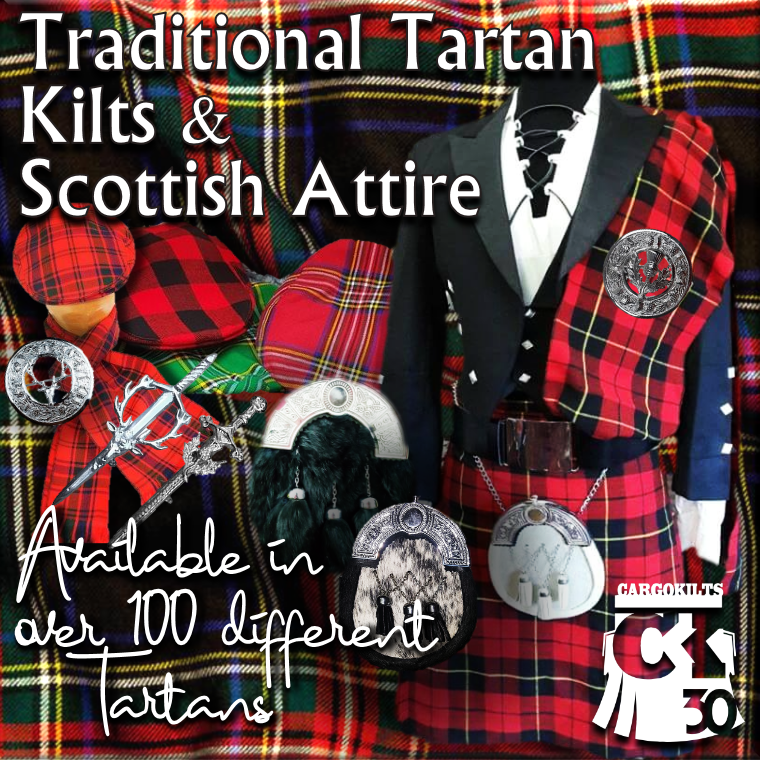 We weave over 100 tartans to exacting standards and cut make and trim kilts and all Highland accessories Traditional Scottish Kilts are available in over 100 different artisinal Tartans. Our tartans are luxurious, wool rich, durable, moth proof and hand washable. 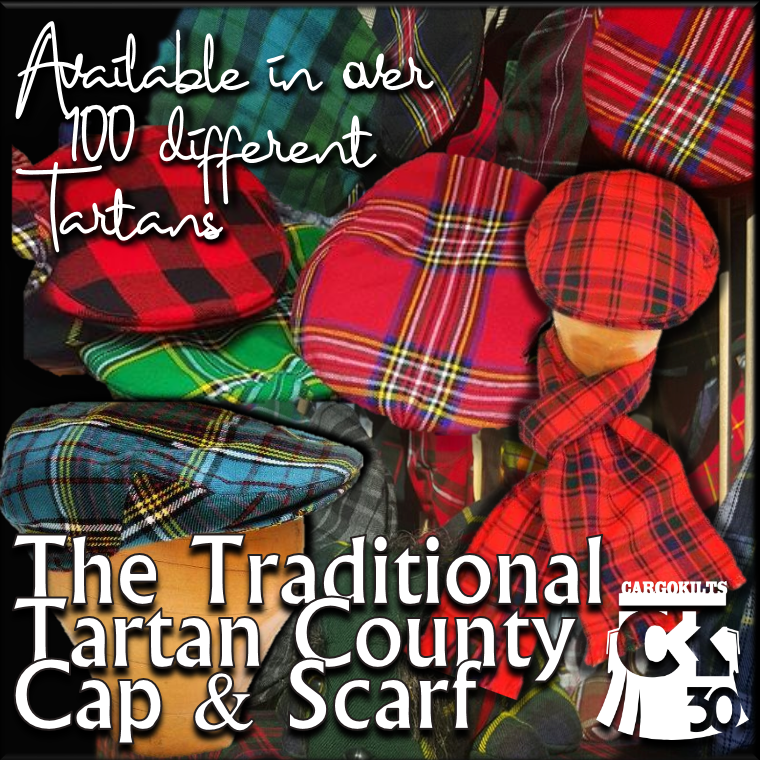 Product of South Africa, the County Caps and Scarves are made using the same finely woven tartan as used when making kilts. The classic sturdy, yet jaunty design is tailored to be fully adjustable. Also available in over 100 tartans. We stock a wide selection of Sporrans including Day, Hunting, Semi-Dress, Dress and Regimental. Custom Sporrans and Belts are handcrafted in full grain leather. 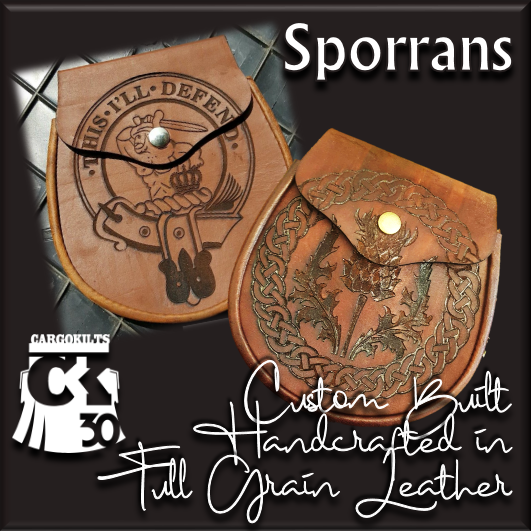 Sporrans and kilt belt buckles can be laser engraved with your Clan badge or logo. 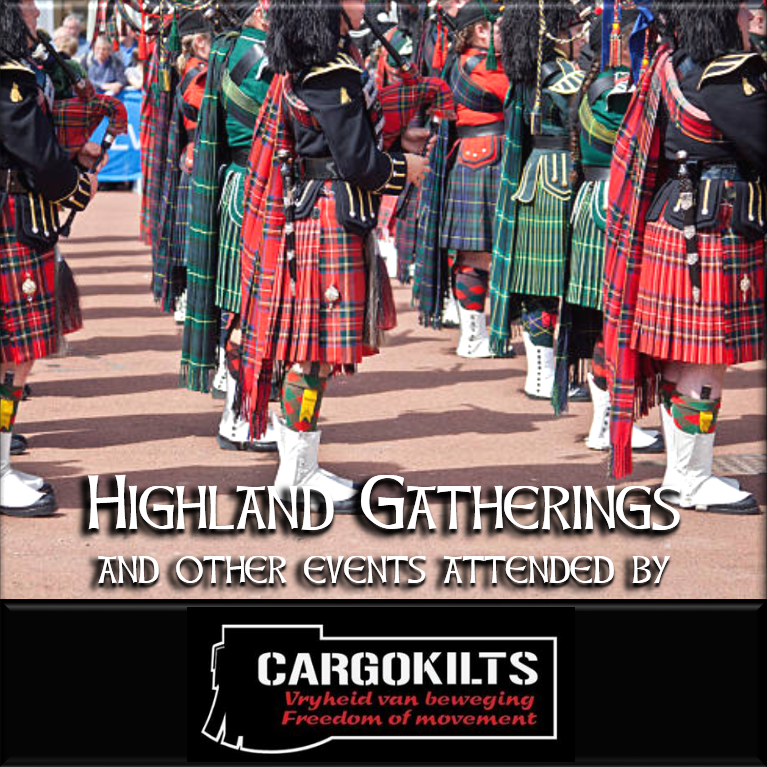 Cargokilts regularly attend the Pipe Band Gatherings and Highland Festivals throughout South Africa. Our 2019 event dates are now available here. Do visit our Facebook page for most recent updates. Cargokilts custom make your kilt to fit you perfectly. From regular sizes, flat gut to beer belly, there is more to measuring than meets the eye, so we welcome you to CALL, or VISIT us, and we'll assist you through the process personally. If your kilt is not made to measure, the likelihood that it is hurriedly churned out of a sweat shop factory in appalling conditions. Only free willed personnel are employed, and we follow a creed of social responsibility. Earth ethical methods are utilised, and no compromises are made in the supply chain optimisation. 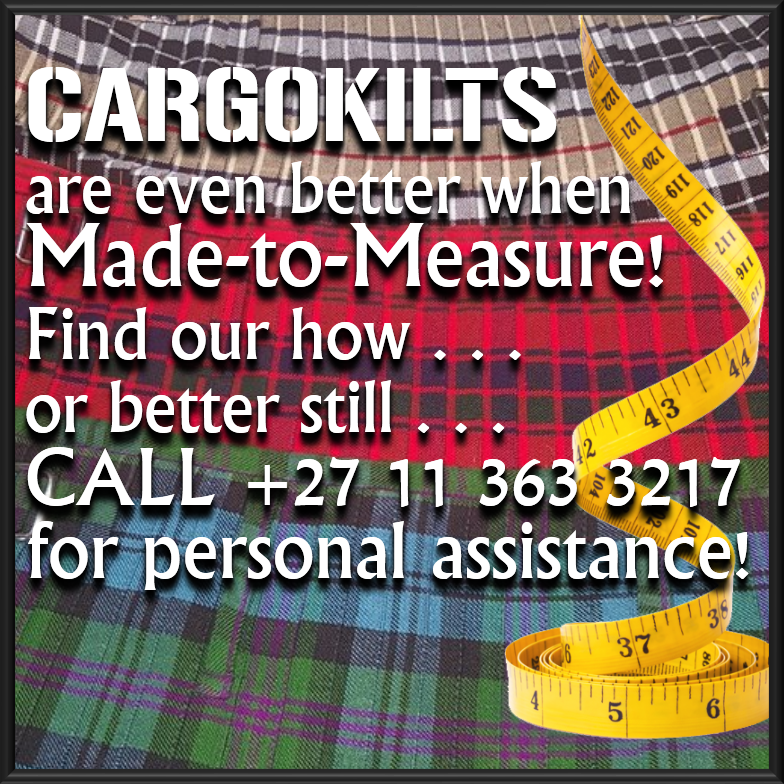 Before you buy your kilt, we welcome you, indeed, we prefer you to eMail or Call us (between 06h00 & 22h00 GMT) to discuss your personal kilt requirements. This ensures that your measurements and all other aspects of your made-to-measure kilt are correct.